"What is the first indication of lubricant starvation?" Heat is the direct consequence of lubricant starvation. Once any mechanical system becomes depleted of lubricant, and the lubricating film keeping gears, bearings or slides apart is no longer present to support or protect the surfaces, surface-to-surface contact will occur. When two surfaces slide or rub together, friction is produced, and from friction comes heat. 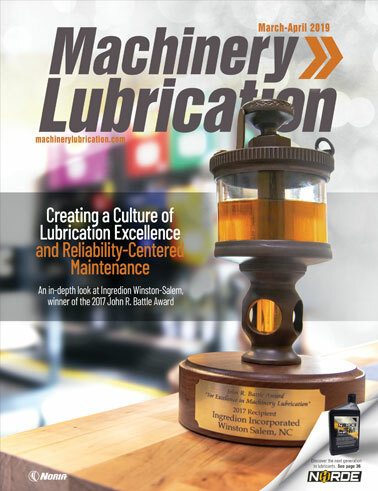 Before frictional heat is generated, the only way to detect lubricant starvation would be through vibration analysis. Vibration analysis can pick up subtle vibration changes in the machinery and may be able to identify lubricant starvation before the extreme heat from friction is discovered. The effect of friction on the two surfaces rubbing together without lubrication will cause them to heat up quickly. The amount of heat generated will be in direct correlation to how fast the two surfaces are sliding or rotating. For example, gears rotating at only 60 rpm will take much longer to heat up than those rotating at 1,800 rpm. Without proper lubrication, gears rotating at faster speeds not only will heat up quickly but can also lead to failure of the machine. In the image below, notice the difference between a good oil supply (full lubricant film), an impaired oil supply (boundary contact), and dry friction and wear (caused by lubricant starvation). Welding and galling occur when the two surfaces become so hot that they weld together and then tear apart, resulting in large amounts of debris. This is not something you want happening inside your machine. Other signs that your machine is suffering from lubricant starvation include smoke, an unusual smell and the machine becoming hot to the touch. 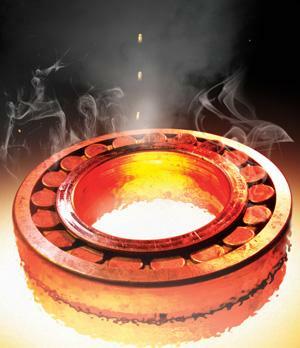 Smoke is caused by the heating of what is left of the lubricant. This is usually the case when you see some poor soul stranded by the side of the road with smoke pouring out from under the hood of his car. Before a machine even begins to smoke, you can often smell the oil starting to heat up. This provides a good way to detect lubricant starvation. Another excellent method is through touch. Your hands are very sensitive heat detectors and can identify subtle changes in temperature. 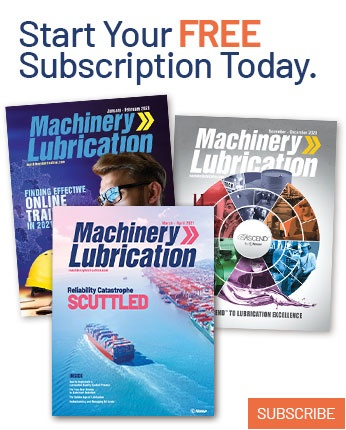 However, the most effective way to combat lubricant starvation without expensive diagnostic equipment is to check your machinery on a regular basis. Ensure your PMs are appropriate for each machine and take into account the changing conditions around the equipment, such as temperature, moisture and workload.